Gasrec, Europe’s leading supplier of liquefied gas fuel for transport, has welcomed the European Union’s latest compromise agreement with the European Parliament which will pave the way for an increase in weight for HGVs converting to run on gas, ensuring they maintain their full load carrying capacity. Under the agreement, investment in clean fuels such as liquefied biomethane and LNG for transport, will be encouraged through the authorisation of a weight increase of up to one tonne for vehicles using these fuels where the technologies require the extra weight. The new ‘exceptions’ to current maximum weights of lorries and buses is a measure to improve road safety and cut greenhouse gas emissions. It falls under the existing EU Directive 96/53/EC which sets maximum weights and dimensions for heavy commercial vehicles and ensures that Member States cannot restrict the circulation of such compliant vehicles within their territories. Welcoming the news, Ben Sawford, chief commercial officer at Gasrec, said: “This is exceptionally good news for the transportation industry. While the commercial and environmental benefits of converting heavy commercial vehicles to run on liquefied biomethane and LNG are unquestionable, the weight of technology involved has always been a potential issue as it can add up to 300 kg or more per vehicle. Gasrec pioneered the use of bio-LNG (liquefied landfill biomethane and LNG) for transport and supplies more than 60% of gas powered HGVs on UK roads. The company is developing and operating the UK’s first strategic distribution network for liquefied bio-gas – it already has 10 operational stations and is planning to open a further four by summer this year. These stations will be EU co-funded through the TEN-T programme and through TSB matched funding grants which aim to grow new fuelling infrastructure across all Europe’s key transport corridors. Gasrec is Europe’s only commercial producer of Liquefied Biomethane (LBM) as a vehicle fuel and the leading UK provider of Bio-LNG. LBM is a class leading biofuel derived from liquefied landfill gas, or biogas from anaerobic digestion. When combined with Liquefied Natural Gas (LNG) it becomes Gasrec’s unique offering, Bio-LNG. When using a 15% LBM/85% LNG mix, Bio-LNG can cut HGV fuel bills by up to 20% compared to pure diesel equivalents. It also has CO2 emissions of 2.08 kgs per litre of diesel equivalent compared to 3.10 kgs per litre for diesel – hence every unit of diesel displaced by gas results in 33% less CO2 emissions. Typically this leads to a 20% reduction in carbon emissions for a standard dual fuel truck. 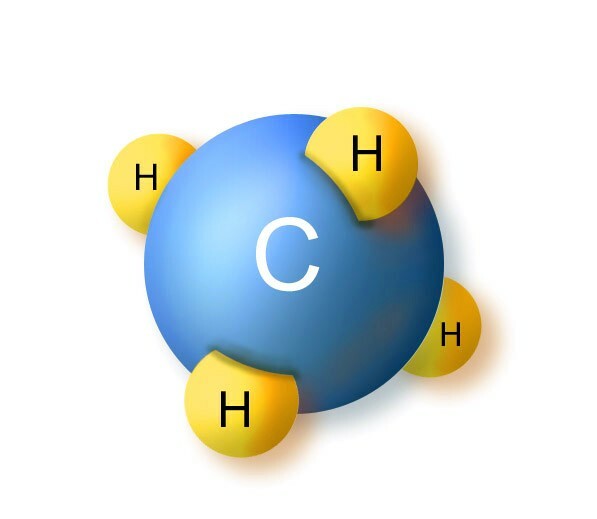 Additionally, when used in a dedicated gas HGV, liquefied gas fuel delivers emission reductions of nitrogen oxide (NOx) of up to 85.8% and particulate matter (PM) reductions of up to 97.1% when compared to diesel. The vehicles in this case are also 50% quieter. 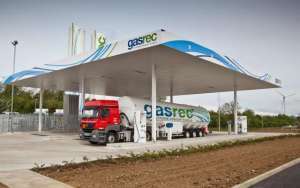 Gasrec supplies bio-LNG through ten refuelling stations. The company designs, installs and manages ”open-access” and dedicated on-site refuelling facilities for its many transport customers, which include Arla, B&Q, Brit European, Culina Ambient, DHL Supply Chain, John Lewis, Kuehne + Nagel, Lenham, Muller Wiseman Dairies, NISA, Sainsbury’s, Stobart Transport, Tenens, Tesco Distribution, UPS and Waitrose. The company has secured European funding for a pilot network of five ”open-access” filling stations across the UK motorway network with a further two stations outside the UK.